In May I wrote about an attempt to return the drill mechanism on the Mars Science Laboratory (MSL) rover Curiosity to operational status. As I noted in that report, use of the sample-gathering drill was suspended in December 2016, after problems were encountered with the drill feed mechanism – the motor used to extend the drill head leading to fears that continued use of the drill feed mechanism would see it fail completely, ending the use of the drill. At the time of that report, a live test of the drill on Mars had just been carried out, but the results hadn’t been made public. However, on May 23rd, NASA issued an update confirming the test had been successful, and a sample of rock had been obtained. The new drilling technique is called Feed Extended Drilling (FED). It keeps the drill head extended and uses the weight of the rover’s robot arm and turret to push the bit into a target rock. This is harder than it sounds, as it requires the weight of the rover’s arm to provide the necessary pressure to help push the drill bit into a rock – something it is not designed to do, and risks either breaking the drill bit or cause it to become stuck. Engineers had spent more than a year developing the technique using Curiosity’s testbed “twin” on Earth before carrying out a preliminary test on Mars in February (see here), which was not intended to gather any sample. For the May 19th, 2018, test the mission team combined the FED approach to drilling with using the drill’s percussive mechanism with the intention of both testing the combined technique with an attempt to obtain a sample of rock. The sample in question is of specific importance to the mission team, although it required a literal turnaround for the rover. For the last few months, Curiosity has been traversing “Vera Rubin Ridge” on “Mount Sharp”. 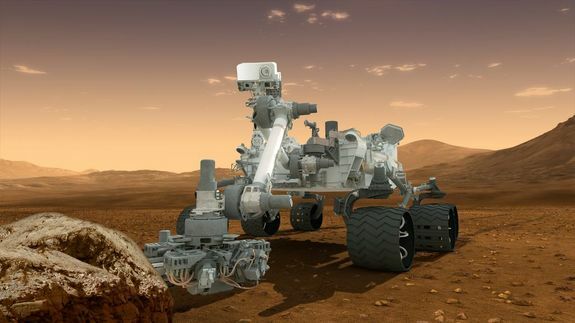 In doing so, the rover passed a distinct rock formation mission scientists realised could fill a gap in their understanding about how “Mount Sharp” may have formed. However, at the time, there was no way to obtain a sample. Once it looked likely that drilling operations could be recovered, the decision was made in April to reverse the rover’s course and return to the rock formation, where the test was successfully carried out. 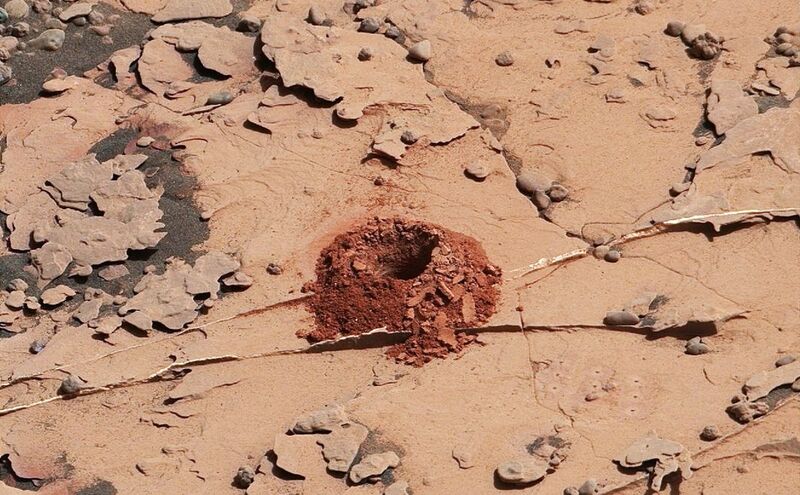 The team used tremendous ingenuity to devise a new drilling technique and implement it on another planet. Those are two vital inches of innovation from 60 million miles away. We’re thrilled that the result was so successful. – Curiosity Deputy Project Manager Steve Lee. The rover has since resumed its traverse towards an uphill area enriched in clay minerals that the science team is also eager to explore. The next stage for the engineers it so figure out how to transfer the gathered sample ready for analysis by the rover’s on-board laboratory. Previously, this would have involved passing the sample through another system on the rover’s “turret”, called CHIMRA (Collection and Handling for In-Situ Martian Rock Analysis). However, transfer into CHIMRA in part requires the use of the drill feed mechanism. As this can no longer be used in case it breaks. the idea – yet to be tested – is to try positioning the drill head over the hoppers feeding the science suite and then running the drill in reverse, allowing the sample – held within the hollow drill bit – to trickle back out, and hopefully into the hoppers. Neutrinos are elementary particles that interact only via the weak subatomic force and gravity. Their behaviour is explained by the Standard Model of particle physics. In essence – and very broadly speaking – the Standard Model is a list of particles that go a long way toward explaining how matter and energy interact in the cosmos. Some of these particles – quarks and electrons, for example – are the building blocks of the atoms that make up everything we’ll ever touch with our hands. Others, like the three known neutrinos, are more abstract: high-energy particles which can be created naturally (within the core of stars or during supernova events, for example), or artificially (e.g. in nuclear reactors or nuclear explosions), and which stream through the universe, barely interacting with other matter. Billions upon billions of solar neutrinos pass through each of us every second without ever affecting us. These neutrinos can be broken into three known “flavours”: electron, muon and tau neutrinos. As waves of neutrinos stream through space, they periodically “oscillate,” jumping back and forth between one flavour of the three flavours and another – or that’s the theory. 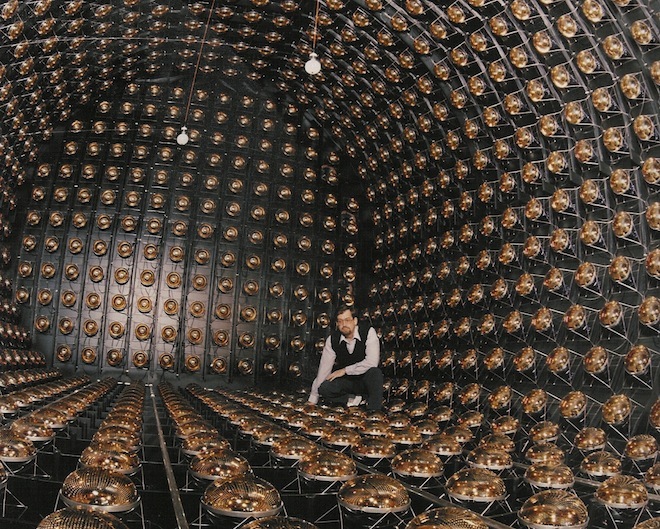 In the 1990s, the Liquid Scintillator Neutrino Detector (LSND) at the Los Alamos National Laboratory, New Mexico, reported more neutrino detections than the Standard Model’s description of neutrino oscillation could explain, resulting in a new flavour of “heavy” neutrino being posited: the “sterile neutrino”. At the time, the discovery met with excitement; physicists had long noticed a discrepancy between the predicted and actual number of anti-neutrinos, or the antimatter partners to neutrinos, produced in nuclear reactors. Sterile neutrinos could offer an explanation for the discrepancy. The only problem with the idea is that other than the LSND results, no-one has been able to find evidence for the existence of “sterile neutrinos”. Until, possibly, now. A paper just published suggests that another neutrino detector – the MiniBooNE, operated Fermilab in Chicago – has also reported a similar result to LSND, resulting in the suggestion some neutrinos are oscillating into the “heavier” sterile neutrinos and then back into one of the recognised flavours. What’s more, combining the results of the MiniBooNE experiment with those of LSND suggests there is just a one-in-500 million chance of both results being a fluke. Does this mean a new elementary particle has been discovered? Perhaps. First, it needs to be established that the results from both the LSND and MiniBooNE aren’t the result of systematic interaction with the experimental set-ups that scientists don’t yet understand. And even if it can be shown the results are correct, it poses another problem. Simply put, LSND and MiniBooNE are not the only neutrino detectors that have been or remain in operation – but none of the others operating around the world have ever produced similar results. Take, for example, the IceCube Neutrino Observatory (IceCube) neutrino observatory located 1.6 km (1 mi) under an Antarctic glacier. 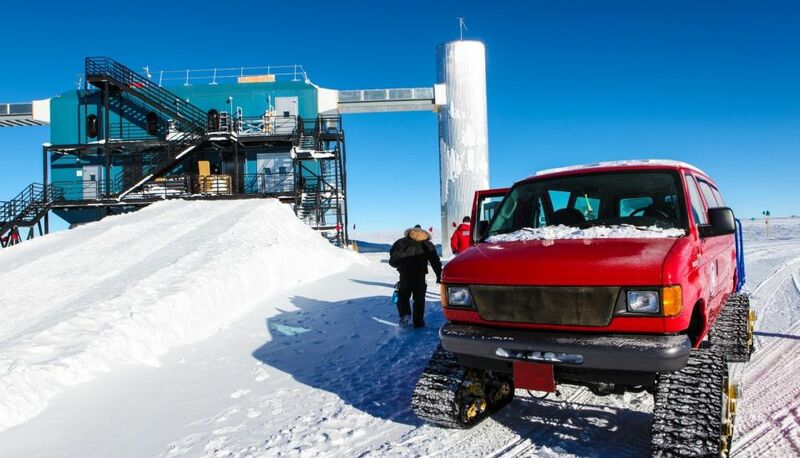 With thousands of neutrino detectors distributed within a chamber over a cubic kilometre in volume, IceCube is the largest and most sensitive detector of its kind in operation – and it has been operating almost as long as the much smaller MiniBooNE. However, it has yet to yield results similar for LSND and MiniBooNE. So if the LSND and MiniBooNE results can be shown to be accurate, scientists will have to explain why sterile neutrinos have only been detected in two locations, and will potentially have to revise our entire understanding of the universe in the process. 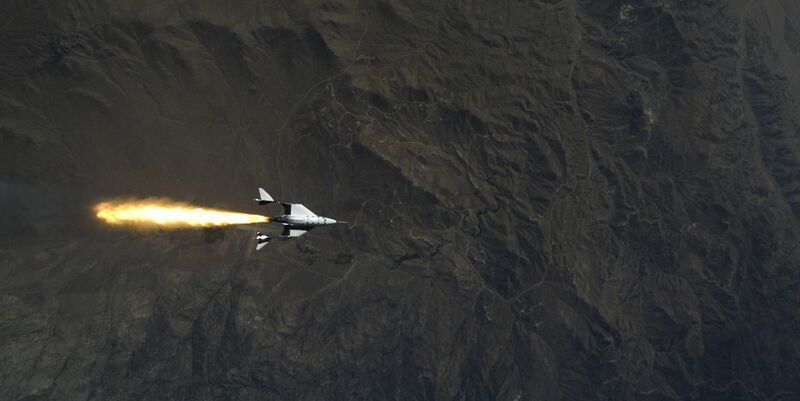 VSS Unity, the second of Virgin Galactic’s sub-orbital spaceplanes, has completed its second powered test flight, reaching a speed of Mach 1.9, the fastest speed yet attended by a Virgin Galactic vehicle. The first powered flight took place on Thursday, April 5th, 2018, and this second powered flight took place on May 29th. The latest flight was to designed to test the performance of the vehicle’s control systems when close to its commercial flight configuration, and to test handling at supersonic speeds. The flight commenced at 08:42 PDT when the Unity took to the air from Mojave Air and Space Port, slung beneath the central wing of its carrier aircraft, VMS Eve (VMS standing for Virgin Mother Ship). An hour later, having climbed to altitude, VMS Eve released Unity. Dropping clear of the carrier aircraft, pilot Dave Mackay ignited the rocket motor and Unity climbed to just under 39,900 metres (114,500 ft) utilising a 31 second motor burn on the way. This allowed the vehicle’s “feathering” system to be deployed by co-pilot Mark Stucky, starting the vehicle on a return to the ground, which culminated in a safe landing at 09:55 PDT – the entire free flight of the VSS Unity lasting 12 minutes. The commercial flight configuration test involved equipping the Unity with passenger seats and passenger support equipment, together with moving the vehicle’s centre of gravity towards the rear to simulate a passenger load. With the latest test flight complete, the company will be review the data gathered before making preparations for the next flight. A date for that flight has yet to be announced, nor is it clear what form of flight it will take. However, at some point VSS Unity will need to undertake at least one flight that includes a full duration burn of the vehicle’s rocket motor, and also complete flights to the planned 110 km maximum altitude it will achieve when carrying passengers. 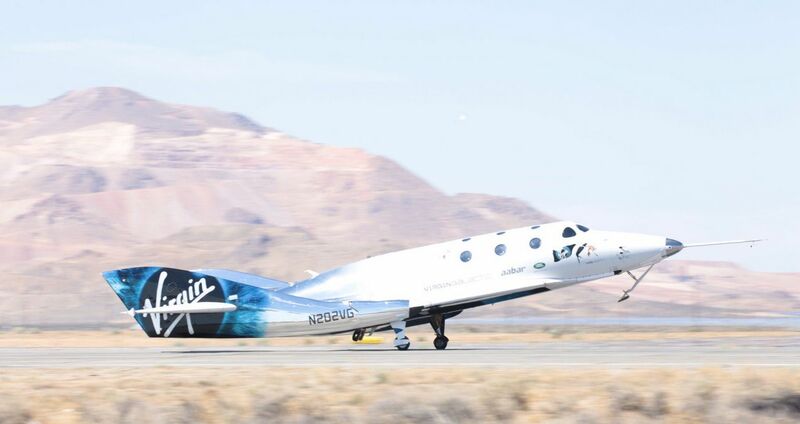 The six-week gap between the last two test flights reflect the idea that the SpaceShipTwo vehicles – there are two more under construction – will require a fairly high turn-around cadence between flights once commercial flights commence. It was great to see our beautiful spaceship back in the air and to share the moment with the talented team who are taking us, step by step, to space. Seeing Unity soar upwards at supersonic speeds is inspiring and absolutely breathtaking. We are getting ever closer to realizing our goals. Congratulations to the whole team!